Atlus today announced that Persona 3: Dancing in Moonlight and Persona 5: Dancing in Starlight will launch for PS Vita and PS4 in North America and Europe on December 4, 2018. Each game will be available for $39.99 on PS Vita (digitally) and for $59.99 on PS4 (physically and digitally). The Persona Dancing: Endless Night Collection will be available for $69.99 on PS Vita (digitally) and for $99.99 on PS4 (physically and digitally) and contains all three Persona Dancing games: Persona 3: Dancing in Moonlight, Persona 5: Dancing in Starlight, and Persona 4: Dancing All Night. Return to the worlds of Persona 3 and Persona 5 and relive cherished memories with the games’ most memorable songs by Shoji Meguro, composed by Ryota Kozuka, as well as all-new remixes by ATOLS, Lotus Juice, ☆Taku Takahashi (m-flo / block.fm), Jazztronik, and more! Unlock a total of 25 fan-favorite tracks in each game. 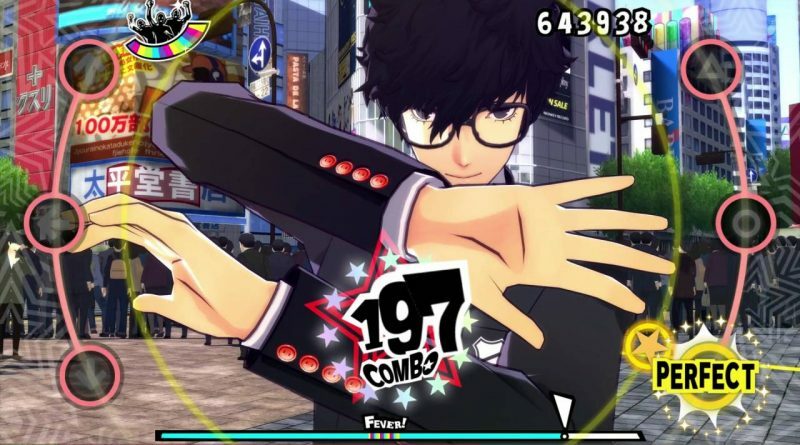 Choose from several difficulty levels and dance alongside the members of SEES and the legendary Phantom Thieves in a customizable rhythm game experience. Characters can tear up the dance floor with a partner by performing well during a song and entering “Fever” mode; try out some of your favorite character combinations! Choose to listen to your favorite characters’ voices in either English or Japanese with dual audio options! English, French, Italian, German, and Spanish subtitles are also available. In “Social,” players can connect with their favorite characters and deepen their social bonds through conversations and mini-events. Fulfill character-specific conditions to unlock special events and unlock new items. Collect and equip a variety of costumes and accessories to create an even flashier dance experience.